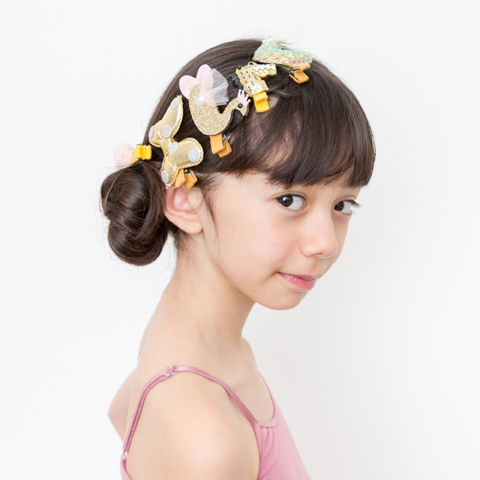 All that glitters may not be gold, but these new hairclips certainly are! 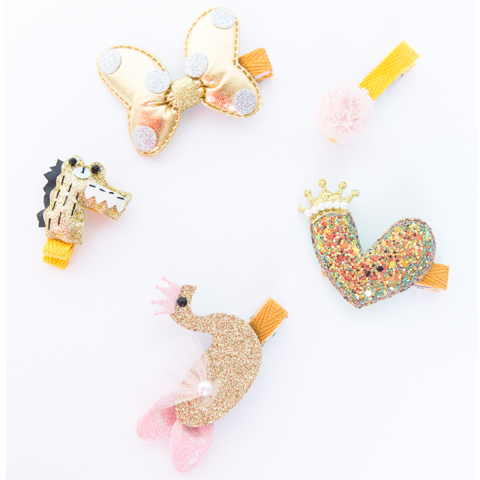 This set of five shimmering shapes includes a golden dragon, a royal bow, a puffy pom-pom, and even a princess swan and princely snail! Available in Gold.